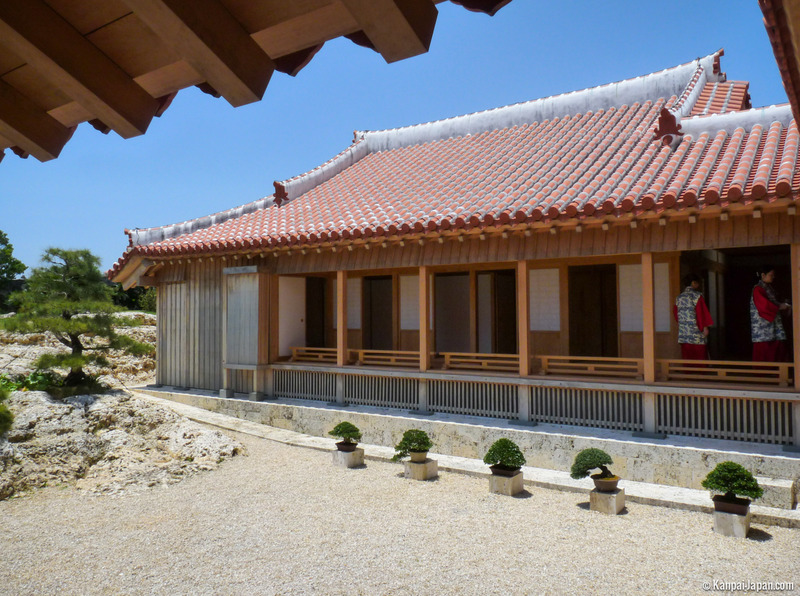 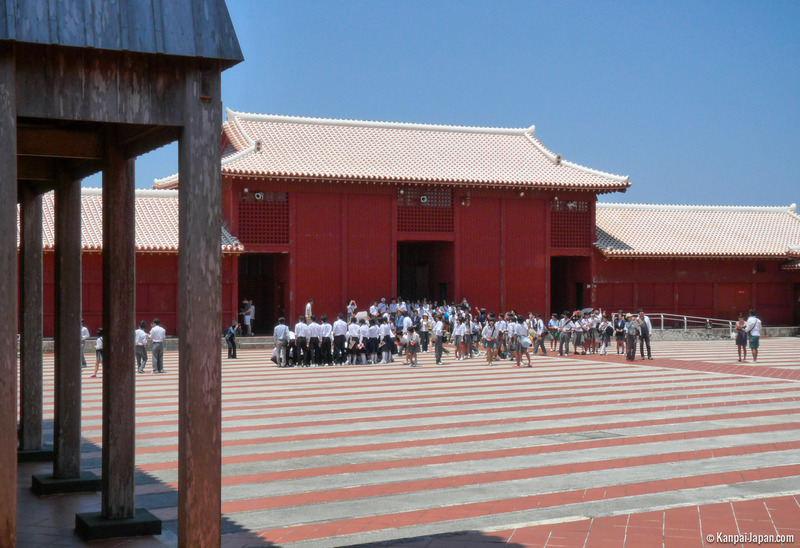 During our trip in Okinawa, we also visited Shuri Castle, or 'Shuri-jo' in Japanese. 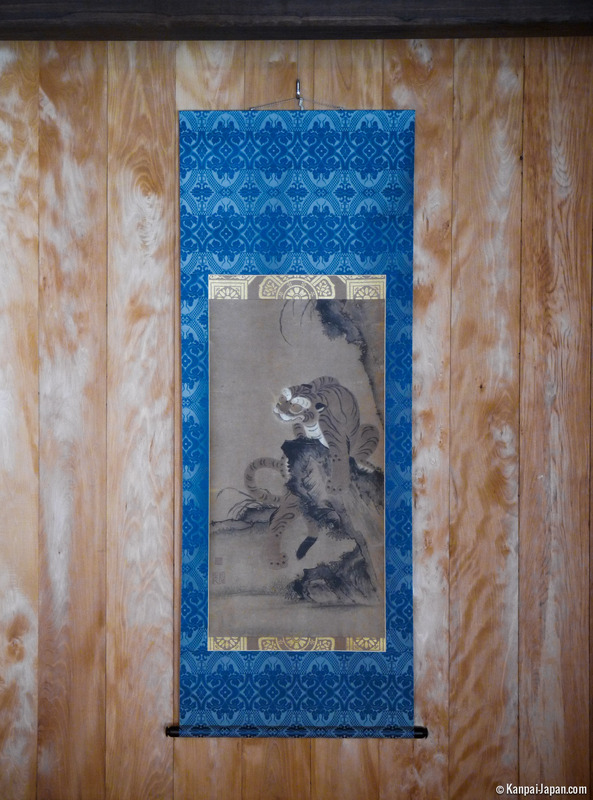 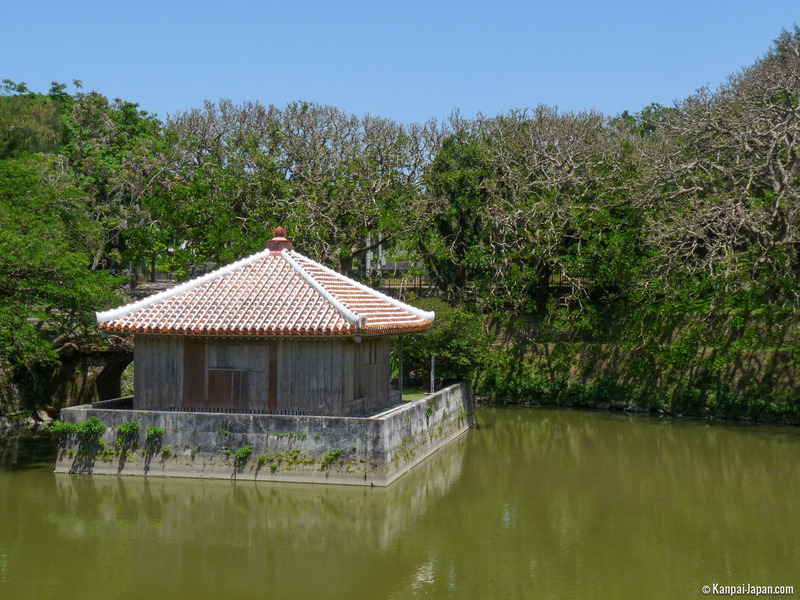 It is located near the capital Naha, in the adjacent town of Shuri. 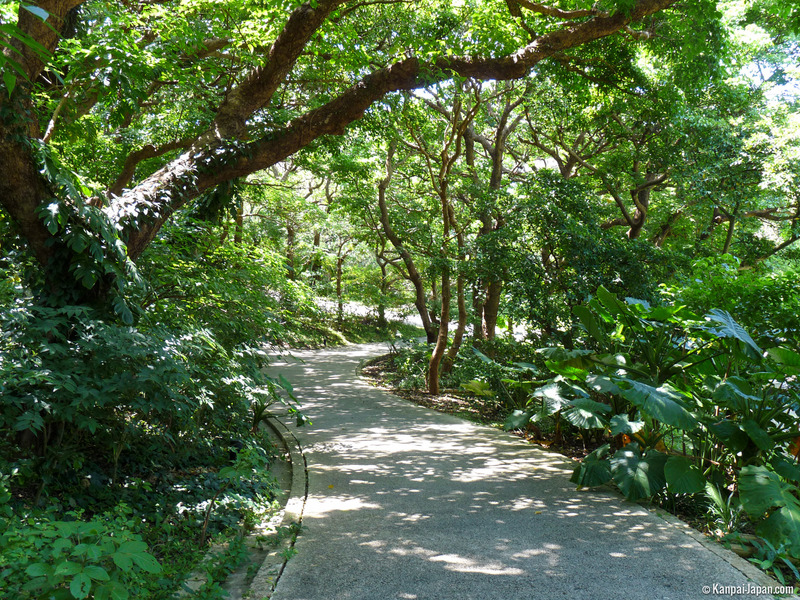 From Naha, it can be reached pretty easily by monorail or bus. 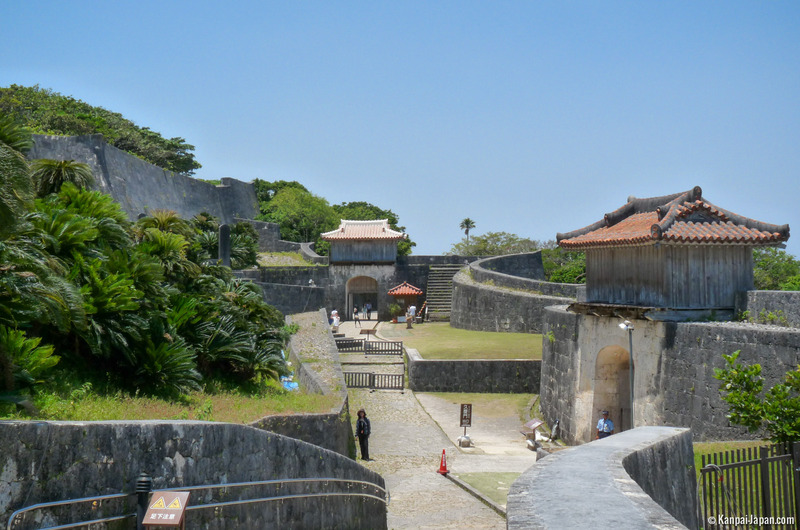 The castle was built during the 14th century, when Shuri was the capital of Ryukyu Kingdom (an extended version of the current islands of Okinawa). 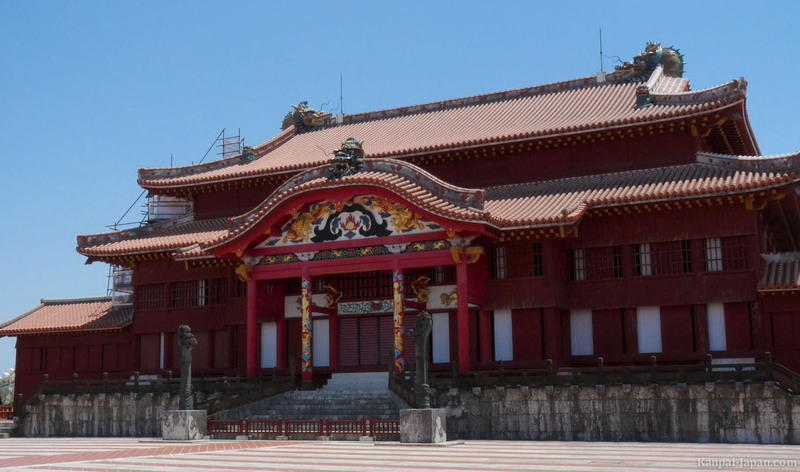 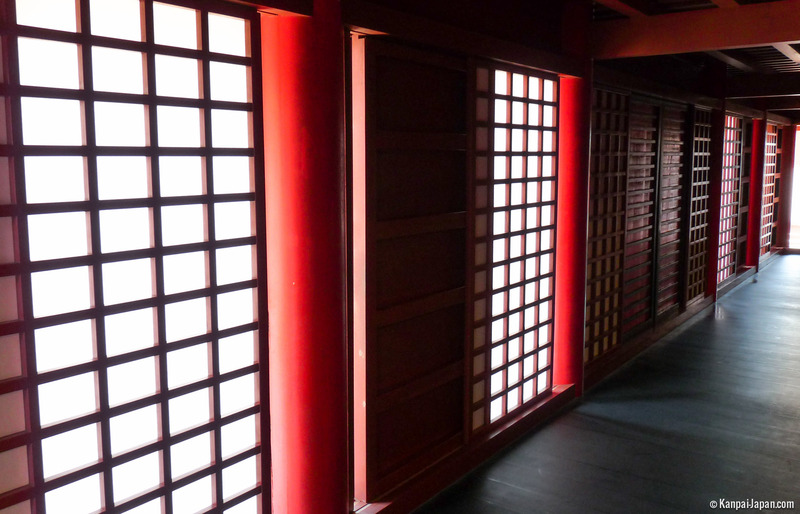 Shuri castle is credited with the birth of 'Shuri-te', a martial art close to karate. 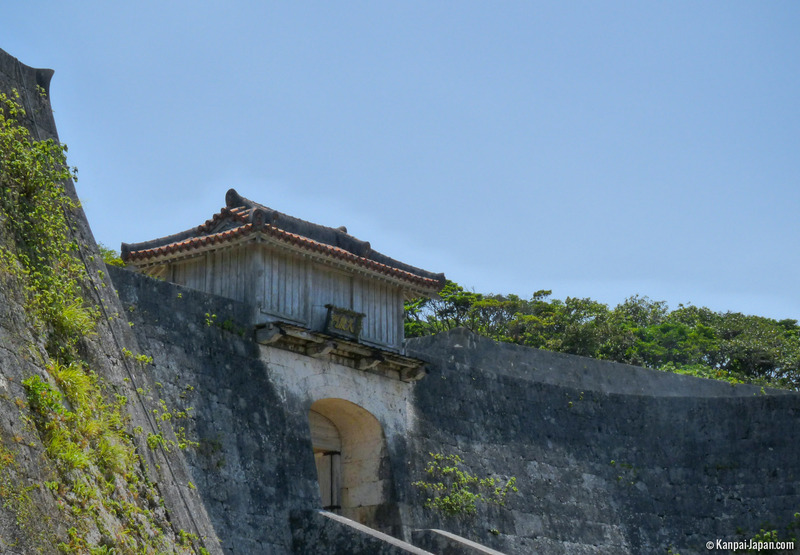 Since then, the castle has been repeatedly destroyed and rebuilt each time. 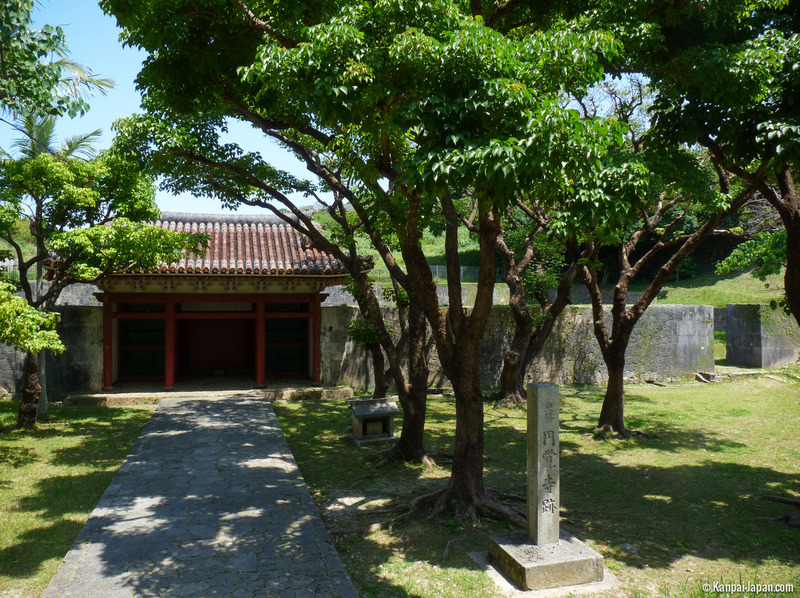 Shuri had a last violent destruction at the end of World War 2, during the Battle of Okinawa in 1945. 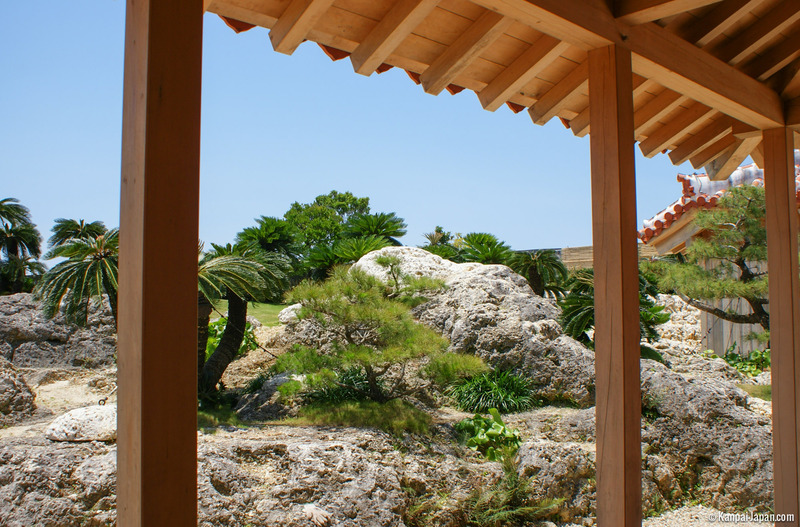 For the record, this destruction is a playable mission to play in the videogame Call of Duty World at War. 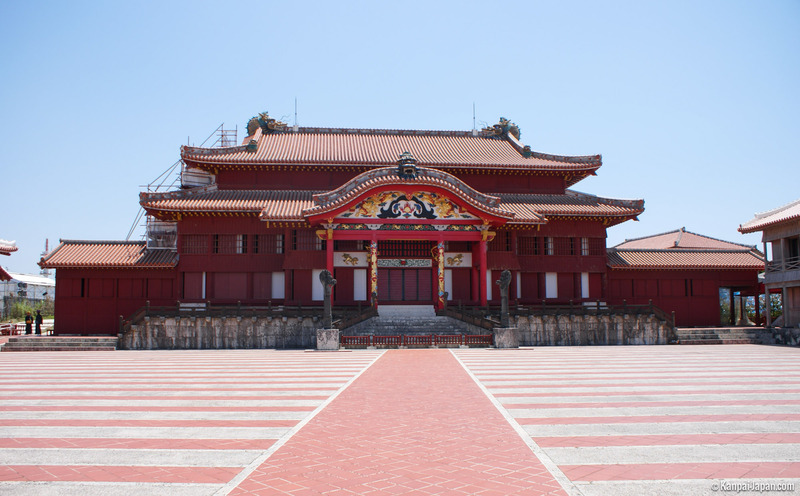 Shuri Castle was finally rebuilt in 1992 to enter UNESCO World Heritage. 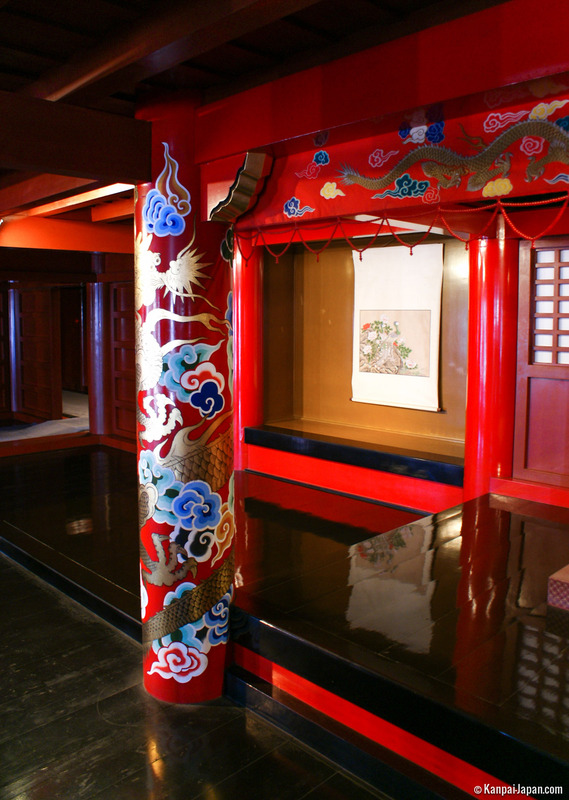 It hosted the G8 in 2000; during the visit, you can see old pictures with Clinton, Putin, etc. 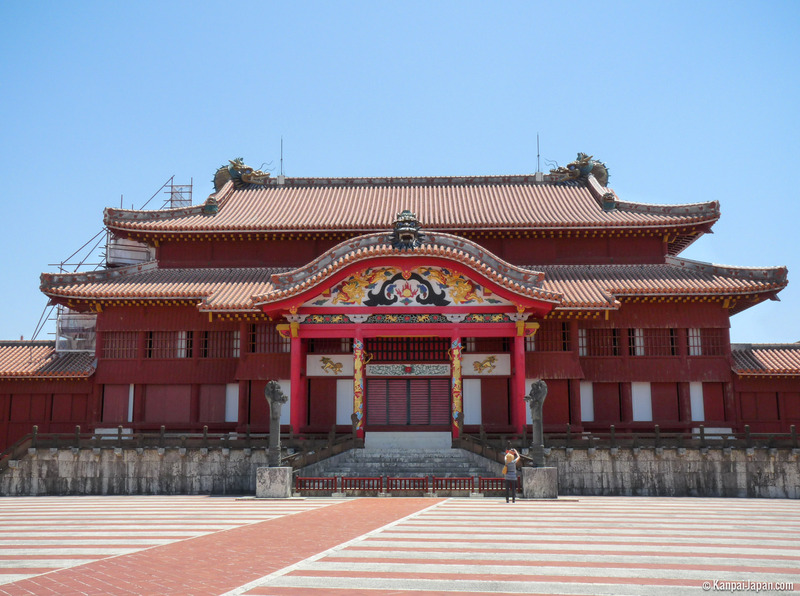 Today, the entire area that surrounds the castle is called the Shuri Castle Park (with its front door 'Shureimon'). 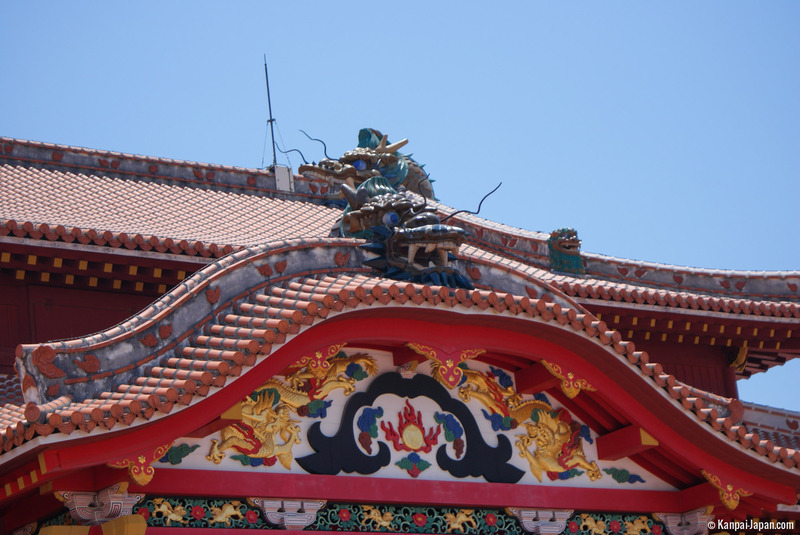 Many tourists visit the park throughout the year, as well as the castle, gardens, several other entertainment buildings, and of course restaurants and souvenir shops. 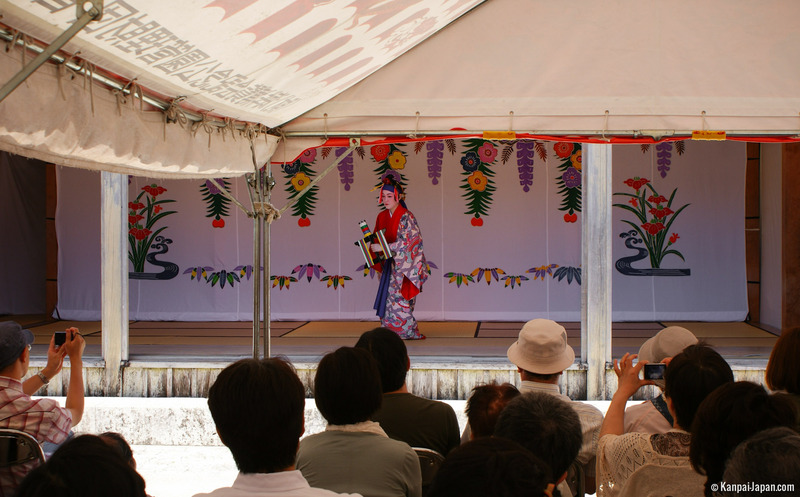 It is a rather interesting trip culturally, and pleasant for the beauty of its landscapes.